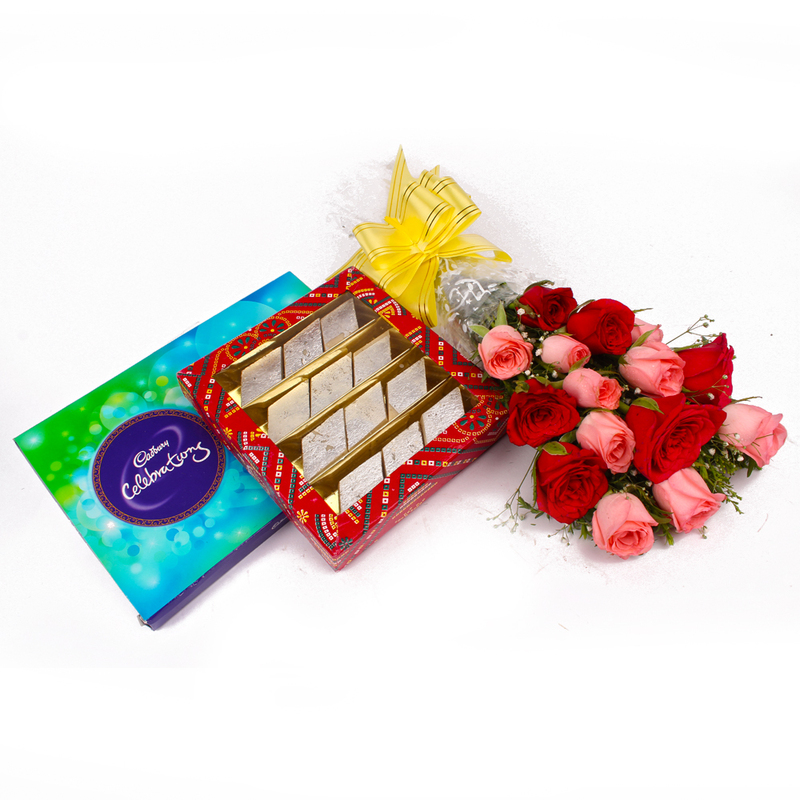 Product Consists: Bouquet of 15 Red and Pink Roses and Cadbury Celebration chocolate Box (Weight : 118 Gms) along with Box of Kaju Katli (Weight : 500 Gms). Double up the happiness by sending this finest gift hamper. 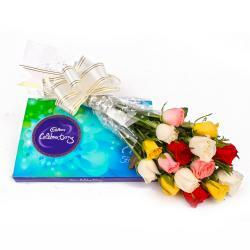 There cannot be anything better to enrich your beloveds life than that of a rose bouquet made of red and pink Roses packed specially along with kaju katli sweet and cadbury celebration chocolate box to send this amazing gift to anyone. So why you are waiting for just order on one click. 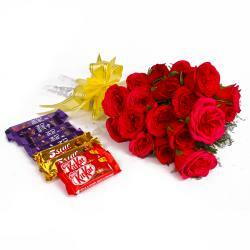 We will deliver this lovely gift combo at your place. 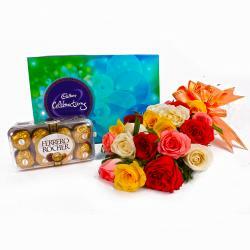 Make feel recepient more special by gifting your loved ones with this lovely combo on diffrent ocassion like Birthday, Anniversary, Engagement, Pongal, Teachers Day and many more. Thus, send this alluring Gifts to India through Giftacrossindia and make your recipient feel extra special. This gift hamper contains : Bunch of 15 Red and Pink Roses and Cadbury Celebration chocolate Box (Weight : 118 Gms) along with Box of Kaju Katli (Weight : 500 Gms).